Natasha Childs explains the system-wide approach being taken to look after this network of rivers. 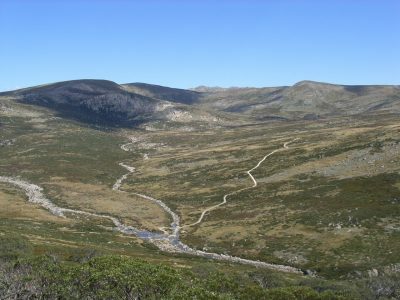 The Southern Connected Basin is a network of rivers that feed into the Murray River between the Hume Dam and the sea. 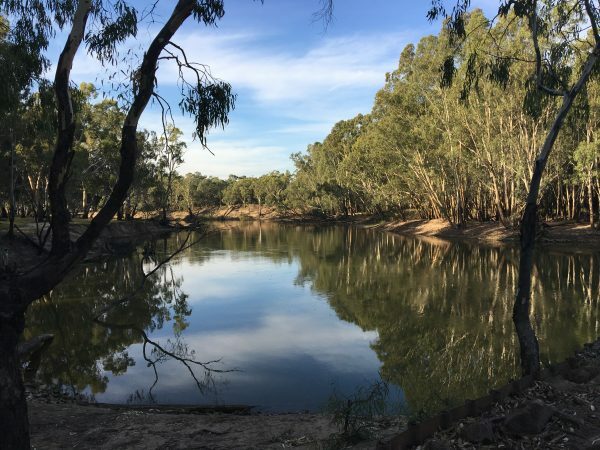 The network includes Victoria’s Goulburn, Campaspe and Loddon rivers, along with the Murrumbidgee, Edward-Wakool, Darling Rivers and, occasionally, the Lachlan River, of New South Wales. As a connected system, managed flows in one area can have a significant positive influence on environmental outcomes in another. The upper catchment. Photo J. Maguire. 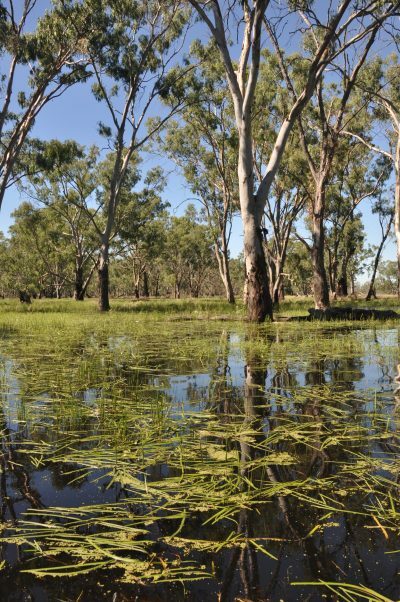 Environmental water managers, river operators, researchers and community representatives are currently collaborating to design fish flows for each major river system within the Southern Connected Basin. 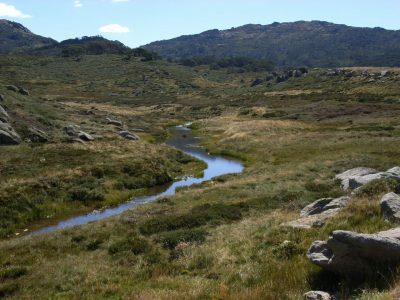 New South Wales Office of Environment and Heritage (OEH) Senior Team Leader Paula D’Santos said this system wide approach means water managers can achieve more with a limited amount of water. “Improved coordination enables cross-border agencies to achieve better results by using available water more efficiently and effectively. This system-wide approach ensures that outcomes achieved at individual sites fit into the overall basin strategy for the benefit of a healthier and more productive Southern Connected Basin. It allows water managers to work toward the key environmental goals for the region including, healthier and more resilient fish populations, Paula said. 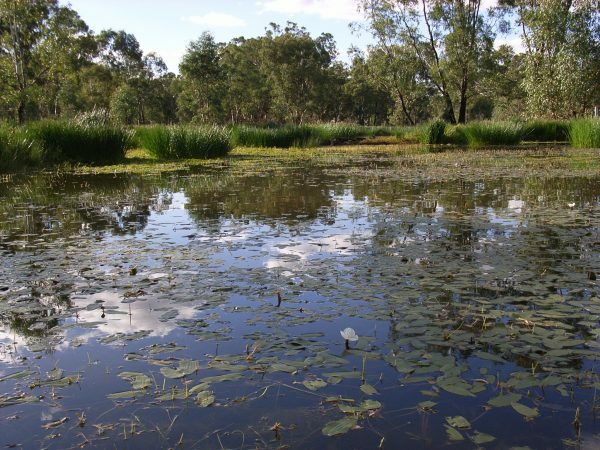 When it comes to native fish, watering events can be strategically delivered throughout the system to ensure a steady transfer of carbon from the floodplain floor into local rivers and wetlands. This carbon is the basic building block of the food web.When released regularly, it supports a robust food web and, at the same time, reduces the risk of low oxygen blackwater events. The aim is to ensure suitable habitat can be managed more effectively to ensure sufficient food for the lifetime of the fish and provide breeding and dispersal cues. These strategies will help to build source populations of native fish throughout the system. This will, in turn, help native fish populations to strengthen and recover from hypoxic blackwater events,” Paula said. Ribbonweed and red gum in the Murrumbidgee valley. Photo J. Maguire. The entire life-cycle of native fish (from birth to maturity) can take several years for some larger bodied species, and parts of the lifecycle may occur in different river systems. Strategic releases of environmental water can improve the health and condition of native fish populations, and provide opportunities for them to disperse throughout the river system. By working with partner agencies, environmental water managers can target key locations and/or native fish populations to provide winter flows or summer refuges. The technique also paves the way for trialling different flows at different times of the year, ensuring fish can move throughout the system, even when irrigation demand is low and dams and weirs are traditionally shut down. Edward River near Lawson’s Syphon. Photo N. Childs. ” Another benefit of managing environmental water across the whole Southern Connected Basin is the ability to make greater use of any water that is being delivered for maximum environmental outcomes. This involves enhancing the effects of existing system flows by adding environmental water rather than creating an event that consists entirely of environmental water,” Paula said. Scenic wetlands in the Lowbidgee. Photo J. Maguire. Agencies have started trialling multi-site watering events as part of this system-wide approach. The events are being monitored to assess the outcomes for the broader landscape. Work is underway to establish mechanisms that make the most efficient use of environmental water and other existing system flows to ensure the maximum benefit from all available flows throughout the year. This article was written by Natasha Childs, Office of Environment and Heritage. For more information, download a pdf of the article ‘Managing the Southern Connections‘ or head to www.environment.nsw.gov.au/environmentalwater/what-is-it.htm. To read this and other great stories like it, you can purchase or download a copy of RipRap 40.